Ken Ferns, a qualified fashion designer from Mumbai, having educated in fashion design now redefines fashion and pursues his interests and talents in fashion design, costume design, and also corporate uniforms and business wear. 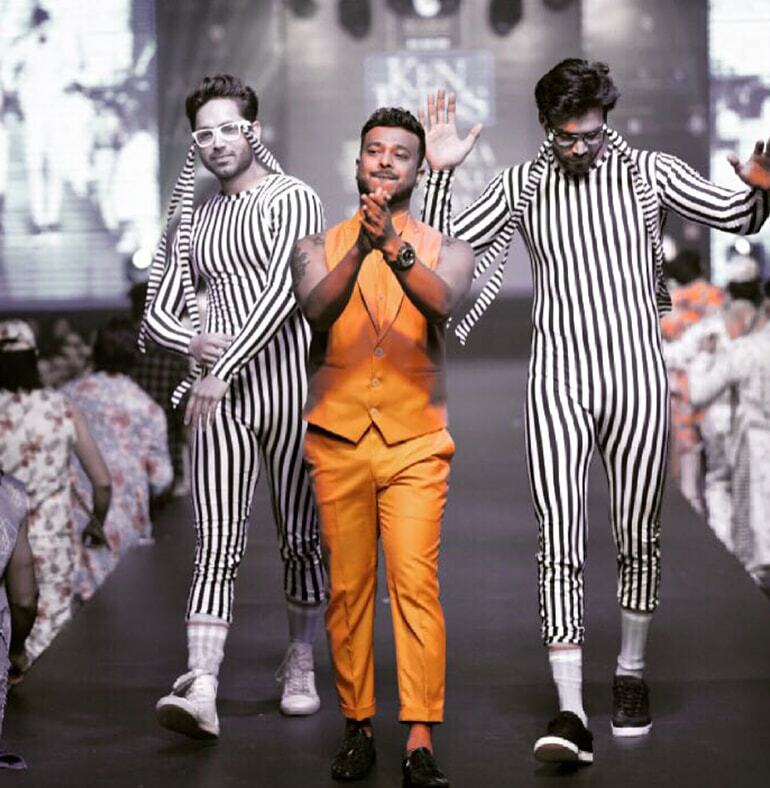 Ken ferns have been showcasing his couture and prêt line at the esteemed lakme fashion week since past 6 seasons. For 5 years at IBFW(India beach fashion week) also showcased his collection at India Luxury style week in Bangalore last season and lately at the Mysore fashion week & India Runway week. Designer ken ferns have also been touring fashion at the very prestigious blenders pride fashion tour 2014 & 2016 currently. Ken has also impressed the state of Goa at the IRFW. He has represented India at the FASHION ASIA awards held in Chongqing. 2015 and is the recipient of the international award for the top 5 designer in Asia category. Ken fern have taken the television industry to another level of style and fashion and has been on as the wardrobe stylist for the biggest reality TV shows in the country, wardrobe stylist & designer for Bigg Boss, Nachbaliye, Jhalak Dikhlaja for the past 5 seasons & very recently the voice of India. Ken has also recently designed the looks for "The Remix" the musical show for Amazon Prime. Having designed for various Bollywood films ken ferns is now a part of international projects too.